I have been pastoring since I was in my late 20s. Today has been one of the saddest days of my pastorate. Tonight another one of the precious saints of First Baptist Church has taken flight to be with the Lord – Sis. Mable Conda, 94. “Miss Mable” as she was lovingly called by generations at FBC, was a one of a kind spirit. She lived in her childhood home, across the street from Kentucky State University. Although advanced in years, it was not unusual to see her in church – whether it was her home church or supporting another church in the city. She didn’t just belong to FBC, she belonged to Frankfort. There was always kind to me and my family and she loved her pastor. The family told me that when she was hospitalized and the doctors had said it could be any day, she told them she wasn’t going anywhere until she saw her pastor. I was in Columbus, Ohio preaching and as soon as I got off the plane in Louisville, I drove immediately to her bedside at St. Joseph’s hospital. I had prayer with her and her family and I could see a tear falling from her eye – she knew her pastor was in the room. My first year as Pastor, I instituted a Man and Woman of the Year award and Miss Mable was the first recipient. 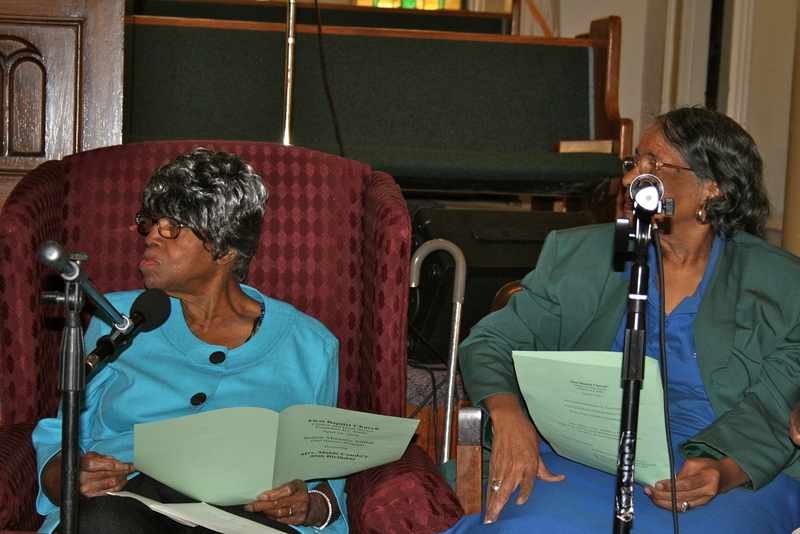 She left an audio/visual presentation of history at First Baptist Church, coordinated by Dr. Lee Charles Harris – so that generations following would know about the early days of First Baptist Church. She was a member of the church over 80 plus years. My heart is heavy – I’ve lost two great members today – Sis. Carol Davis and Sis. Mable Conda. BUT, Lord willing, I’ll see y’all in the morning . . .